A strong, stretchy silicone rubber, "dragon skin" is skin-safe and perfect for a variety of applications including but not limited to: skin effects, molds, and prosthetics. Product comes in a 2 lb trial size and has a 1:1 mix ratio. 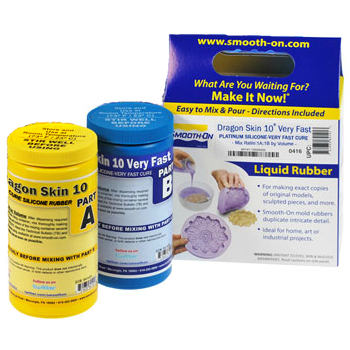 Find additional technical information and project ideas directly from Smooth-On!